Today Nextfour’s Q Experience was happy to announce a new partnership with yet another prestigious boat manufacturer. Yamarin, nowadays owned by Yamaha Motor Company, has manufactured stylish fiber-reinforced plastic boats in Finland since 1972. The first ever Yamarin Q installation will be seen in Norway at the Oslo Boat Show 6.9. as Yamarin’s new flagship, Yamarin 88DC, is unveiled. With the launch of 88 Day Cruiser, Yamarin joins the trend Q Experience has been predicting: bigger boats with multiple touch screens for recreational use. 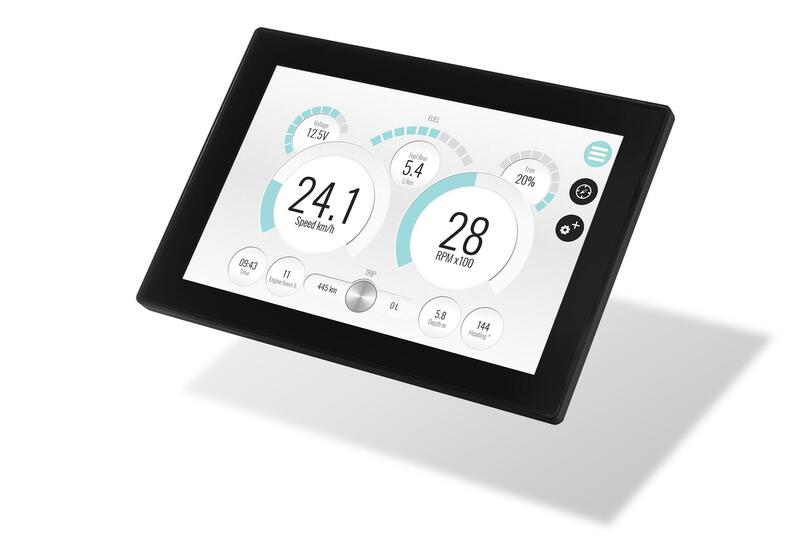 The new flagship features a Q Panel 16 screen as a standard and a possibility to add another 16 inch Panel for a multi-screen installation. The Panels can offer in total 32 inches of touch screen in Yamarin’s impressive boat. Yamarin Q features all Q system’s handy apps from Map to Weather wrapped in a fresh new Yamarin theme. The system has been carefully styled according to Yamarin’s brand new visual appearance. Yamarin’s visual appearance got updated right before the launch of Yamarin Q and the system’s theme color comes from the updated look. Yamarin is yet another international boat manufacturer that has partnered with Q Experience to provide their customers with an extensive, modern boating experience. Since the launch in 2016, Q system has already been customized for Buster Boats, Vita and Askeladden. Manufacturing around 2000 boats per year, Yamarin is a great new partner for Nextfour’s navigation system that aims to grow steadily each year. Q Experience’s growth has been strong also when it comes to extending the system. As Q system has been customized for new boat manufacturers, the team is simultaneously working hard to bring out new features. Latest addition to the system was an extension for Buster Q smart phone app that allows you to e.g. check boat’s location and status on your phone. Yamarin Q and Yamarin 88DC can be viewed at Oslo Boat Show 6. – 9.9. and later this year Q Experience will attend METSTRADE2018 trade show in Amsterdam to exhibit Q system’s latest features and extensions. For more information contact CEO Niklas Öhman or CTO Johan Wessberg, and don’t forget to check out Q Experience’s homepage.